The term "Hua Ren Qu," which literally translates to "Chinese district," is often used to describe those suburbs around Australia with high Chinese populations. Many dislike the word though, comparing it to “ghetto,” which conjures up slum-like images of poverty. SBS Mandarin asked the Chinese Australian community whether or not they prefer to live in "Hua Ren Qu" suburbs. For a long time, the term "Hua Ren Qu" has been commonly used by many Chinese Australians and local Chinese-language media to refer to suburbs with high proportion of Chinese Australian population. However, the use of the term can be seen as controversial. Some don’t like the phrase, comparing it to the word "ghetto," which can also be used to describe areas of a city occupied by a minority group, but is often used interchangeably with "slum" and associated with poverty. This contrasts starkly with the image of many wealthy boom areas where Chinese residents and investors are often spending big on property, business and infrastructure. People often rely on their own understanding of the population composition of the suburbs when dubbing them Hua Ren Qu. This can mainly be based on their impression of neighborhood and people they see on the street and in local shops, while those who are reluctant to use the term often argue that they live in highly-diversified communities. Do Chinese Australians like to live in "Hua Ren Qu"? 26% voted "Like" because it is convenient to live and shop in such areas; another 3% voted "Like" because it means the Chinese community can look after each other. 31% voted "Don't like" due to concerns of "environment and order" in those suburbs; another 15% also voted "Don't like" because they prefer to live with broader and more mixed communities. 22% said "Either" - determined by many other factors. If I want to live in Hua Ren Qu, why do I come here? 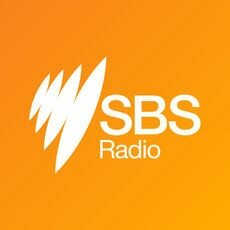 In an on-air radio talk-back segment following the poll, a new migrant told SBS Mandarin that she chose not to live in suburbs with high Chinese population. Ms Wang, who only arrived in Australia less than three weeks ago said that her priority after retirement is environment and quietness. "I chose to live in a non-Hua Ren Qu area where I can experience a more exotic lifestyle - Otherwise it's not much different from living in Beijing." Another caller Mary, who lives in Sydney's Eastern suburbs, echoed this choice, adding that if she wants, she can still go shopping in suburbs with higher Chinese populations over the weekend. Caller Mr Li said he feels comfortable living in Hua Ren Qu, suggesting local MPs are more likely to "care about the Chinese community" and that it is "good for kids' education," as he says there is less risk of racial discrimination on campus. Mr Liang said that he enjoys the convenience of living in suburbs with a high Chinese population, but expressed his concerns over residents who "don't follow local rules," claiming that some Chinese migrants put up illegal street stalls "whichever way they want". Using SBS's interactive map revealing the top three birthplaces for immigrants in suburbs and towns across Australia excluding English and New Zealand immigrants, SBS Mandarin tries to find out what those "Hua Ren Qu" are - in particular, suburbs with the highest population from mainland China, to see which suburbs Australian Chinese are choosing to live in. Data in this interactive map comes from the 2011 Census which means it includes not only Australian citizens and permanent residents, but also international students and visitors who happened to reside in Australia on the Census night. Sydney's southern surburb of Hurstville has 34.2% of its population born in Mainland China, which is the highest proportion among all suburbs cross nation. Residents with the second highest birthplace proportion in Hurstville are from Hong Kong (4.6%). Other Sydney suburbs with a high proportion of residents born in China include: Burwood（26.5% of the local population), Rhodes (25.4%), Allawah (22.5%), Campsie (21.8%) and Eastwood (18.6%). In Melbourne, Box Hill has the highest proportion of residents born in China, which is 20.4%. It also has 3.1% of residents born in Hong Kong. Brisbane suburb Sunny Bank not only has a high proportion of residents with Mainland China background (15.1%), but also is home to many residents from Taiwan (7.2%) who also speak the Mandarin language, followed by Macgregor (15%, plus 6.3% born in Taiwan), and Robertson (12.6%, plus 9.6% born in Taiwan). In Adelaide the top three "Hua Ren Qu" suburbs are Adelaide City (11.7%), Dry Creek (11.2%), Ashford (6.5%).